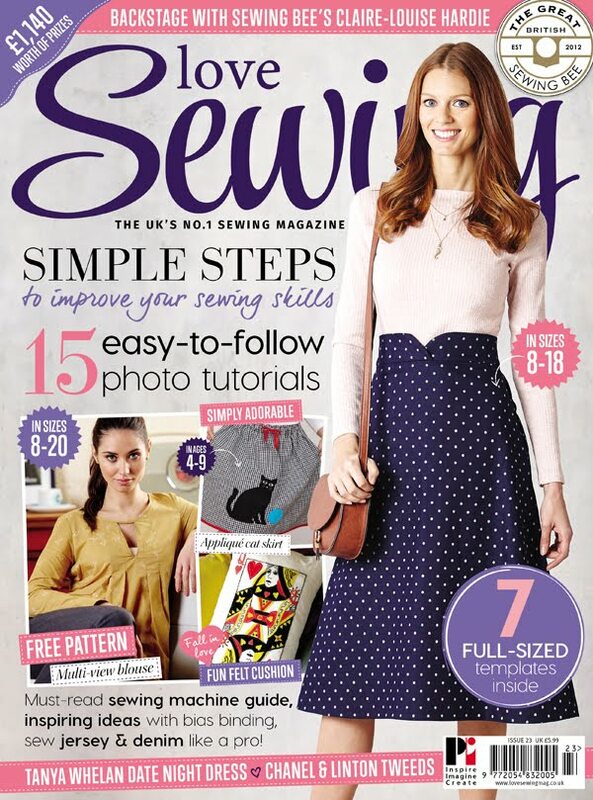 We have a fantastic fabric featured on the front cover of Love Sewing this month. This fabric has the best of both worlds, a polks dot denim, that’s right, dots ‘n’ denim. Our friends over at Love sewing made a gorgeous scalloped crossover waistband denim skirt in a bang on trend midi length. 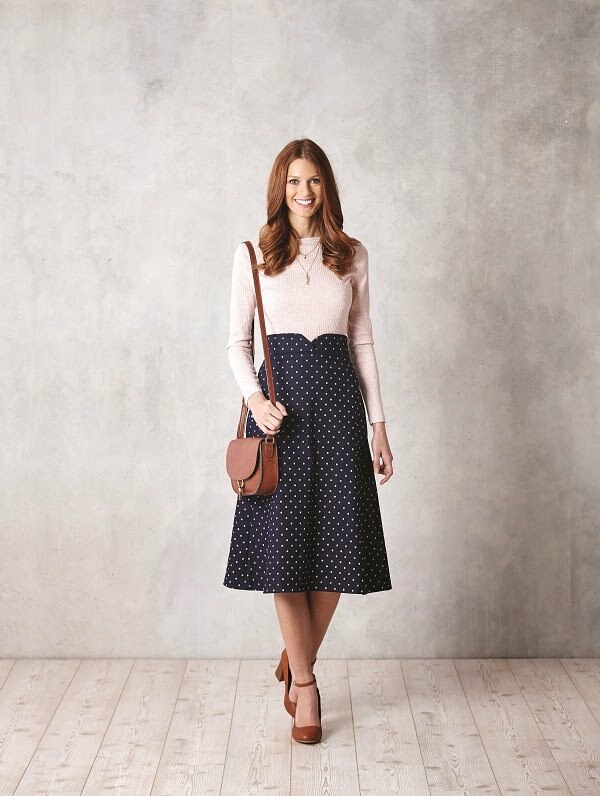 All the information needed to make this smart and cute skirt is in Love Sewing issue #23.